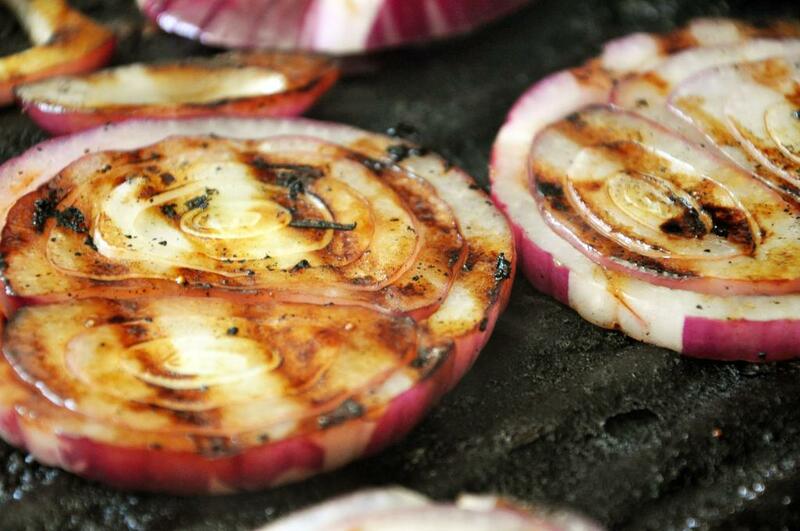 Heat grill or grill pan over medium heat. 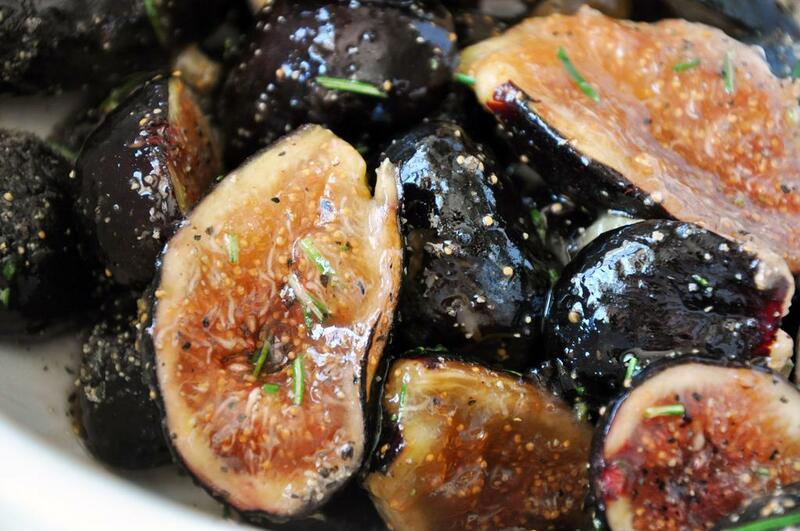 Meanwhile gently toss together figs, honey, 1 Tbsp EVOO, 1 stem rosemary and SnP in a medium bowl. 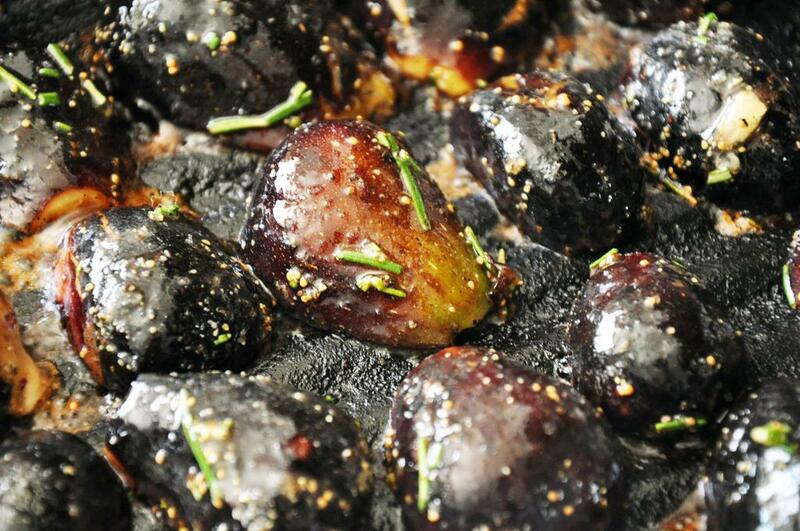 Place figs, cut side down, on hot grill and grill 3-4 minutes per side. Remove and place back in bowl with marinade. Toss and let cool. Spray a large cookie sheet with cooking spray, and lay two sheets of phyllo dough on top. 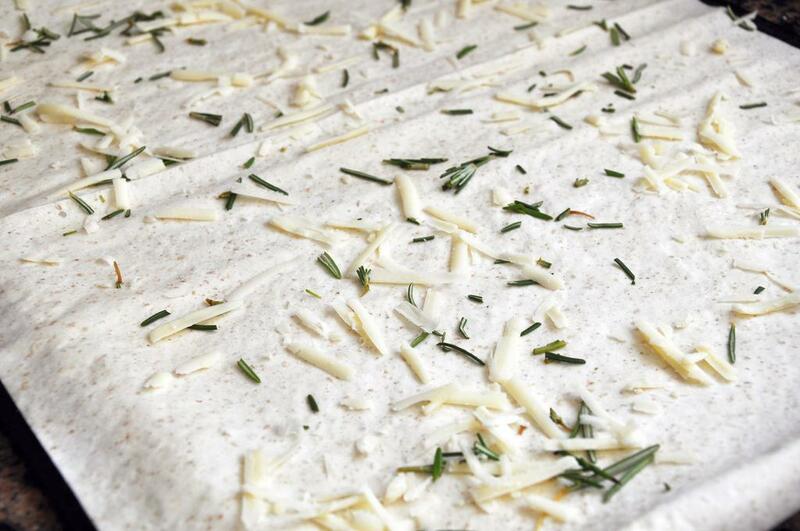 Spray the phyllo with cooking spray and then sprinkle 1/3 of the asiago and equivalent of one stem of rosemary on top. 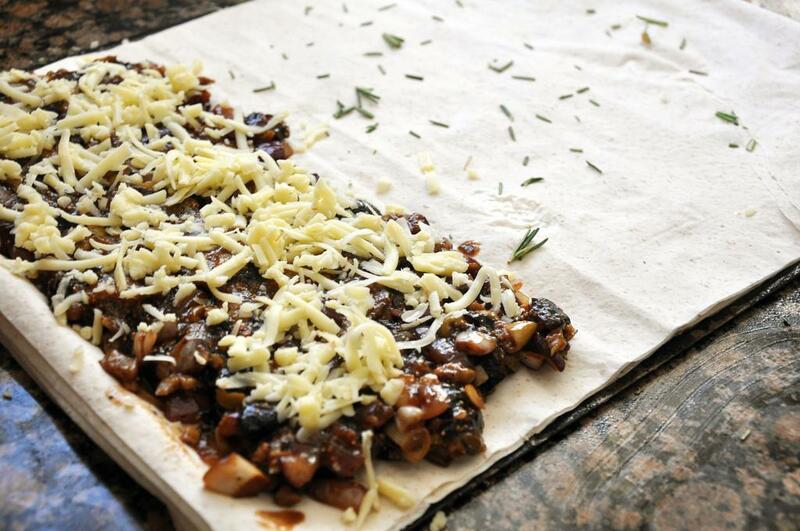 Repeat twice more, then add a fourth set of two phyllo sheets on top. Spray with cooking spray, and at one end spread fig mixture into a 4" rectangle. Sprinkle with fontina. 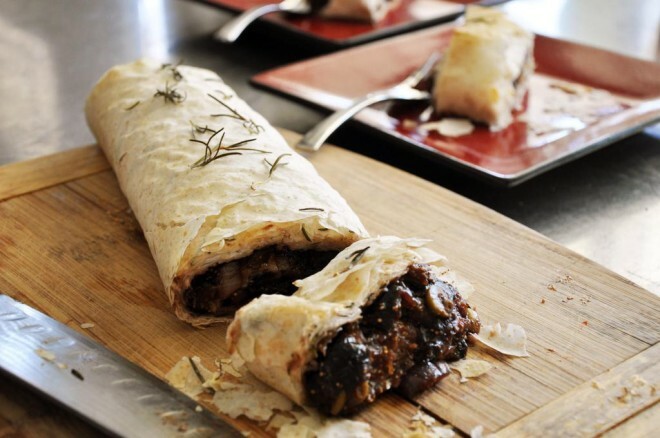 Carefully roll up the strudel tucking it into itself and keeping the mixture inside. 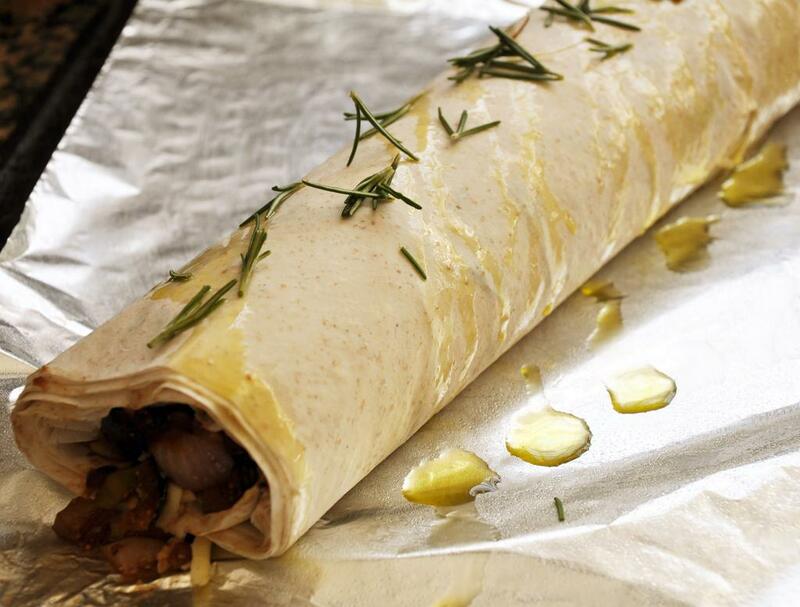 Lay seem side down, drizzle with remaining EVOO and rosemary. Bake for 30 minutes. Let cool slightly and then slice.